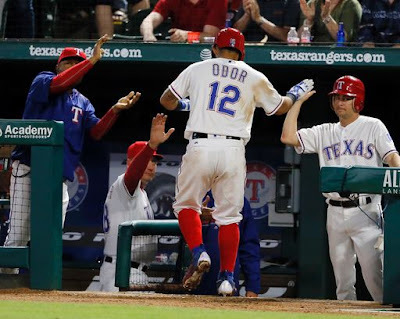 After the Yankees won on Monday 3-1, thanks to Nathan Eovaldi’s dominant seven-inning outing, the Rangers retaliated last night with a 10-1 obliteration of the Yankees. Luis Severino struggled again, and this was his third out four starts where he’s run into trouble early and often. 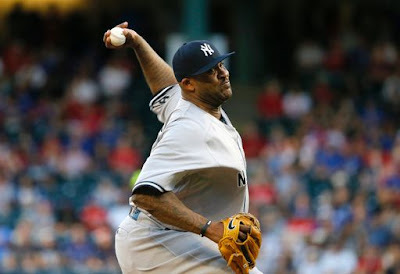 In this rubber game of a three-game series, the Rangers sent Martin Perez, while the Yankees sent CC Sabathia. Sabathia has been consistent, though not particularly dominant in any outing. 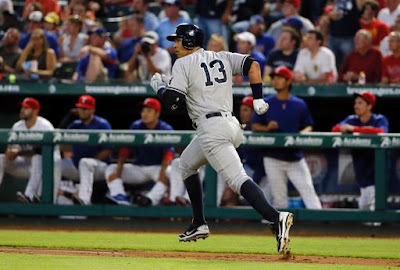 Even if the Yankees can’t sweep three-game series, continuing to win every series is a step in the right direction, and a win tonight will be a big positive as they travel to Boston after tonight’s game. 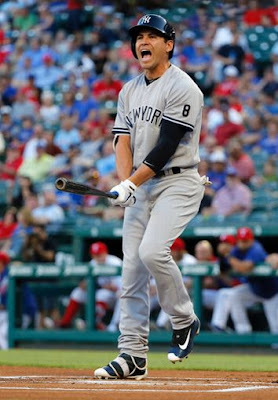 Alex Rodriguez hit his third homer of the season to tie the game at 2. Shawn Tolleson entered for the Rangers to start the ninth. Alex Rodriguez singled with one out and Aaron Hicks entered to pinch-run for A-Rod. McCann grounded out but Hicks advanced to second. Starlin Castro came up, but Tolleson closed it out. Rangers won 3-2.